The aim of the ICBAI 2018 is to create a platform and facilitate knowledge sharing on advanced data analysis, business analytics, big data and business intelligence for distinguished academicians, practitioners and researchers from academia and industry. Disaster & Emergency Management is a critical concern for all sectors – all levels of government, global organizations (e.g., the United Nations and its various agencies), non-governmental organizations, and manufacturing and service industries. Today’s global competition and rapid development of information technology has led to the creation of massive amounts of data that are, moreover, exponentially increasing day by day. 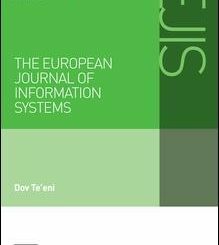 This special issue welcomes contributions on information systems as enablers of innovation in the public sector, at the municipal, state or federal level, in any nation, and even between countries. 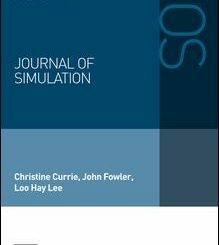 Computer modelling and simulation and are increasingly used to support decision-makers in developing, testing and implementing policies and strategies in real world business domains. 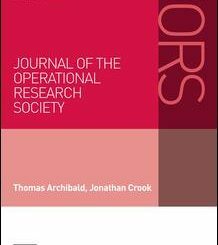 We are inviting papers, for a special issue of the Journal of the Operational Research Society (JORS) that focusses on Multi-Disciplinary Scheduling. This special issue call for papers welcomes contributions that have the potential to provide insight on the orchestration of software development in contemporary digital ecosystems. Since Hardin’s (1968) seminal article, theoretical reflections and empirical investigations on the commons’ governance and management have played a pivotal role in sustainability literature. 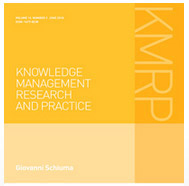 During the past one hundred years, a huge amount of academic research has been conducted on management and related topics such as administration, governance, leadership and strategy.